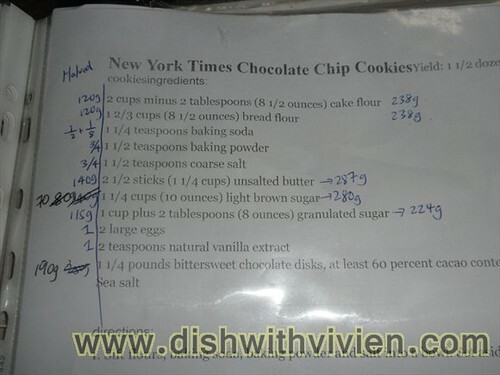 The clear winner for me from the above 3 is New York Times 36hours-rest-in-fridge recipe, this NYT version is harder and thicker whereas Anna Olsen’s is more crumbly and thin (resulting in bigger cookie in terms of diameter). 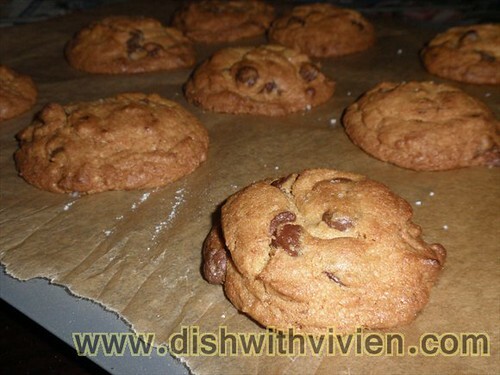 The Way the Cookie Crumbles’ is my least favorite as it is most crumbly among 3 recipe and very cakey and not cookie-like in terms of texture. 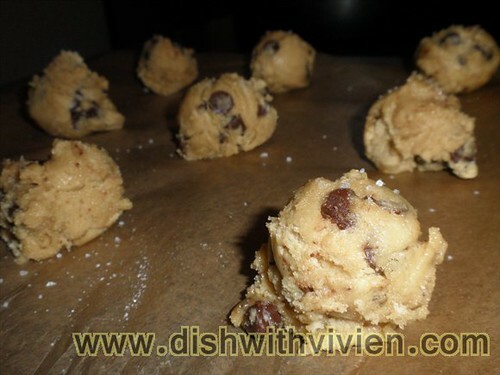 Cookie dough has to be chilled in fridge for 24 to 36 hours before being baked, don’t mind the 36 hours waiting period at all, as it split out the workload into more manageable during weeknights. 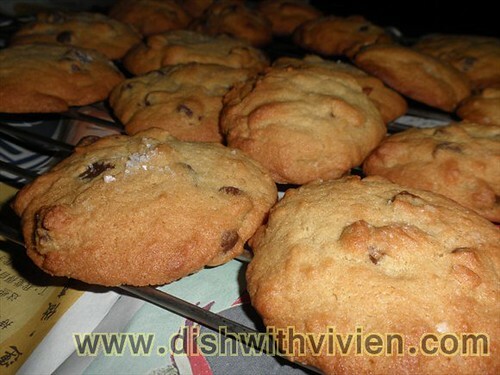 Although i made the cookie much smaller than directed, it still has the crispy edges and chewy center texture. 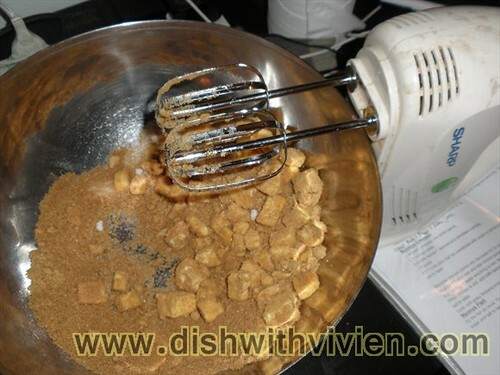 I halved the recipe and reduced the brown sugar from 140g to 70g, it is still a tad sweet, sugar can be slightly reduced. 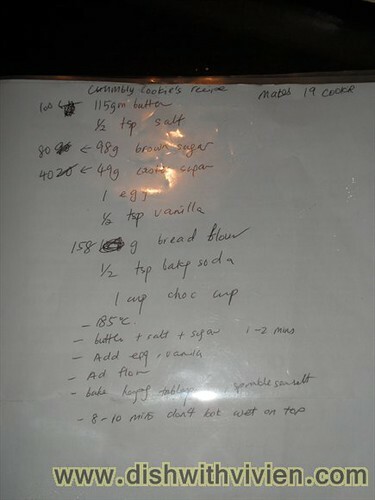 All together halved recipe yields 32 cookie. 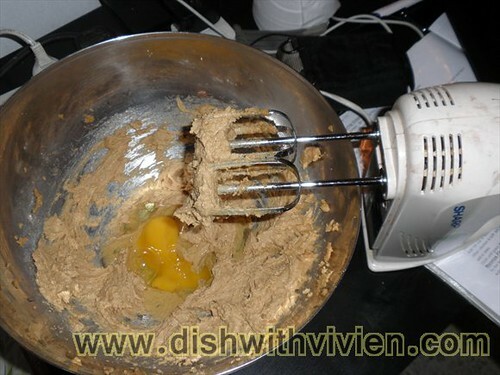 My fridge is too cold, making the cookie dough very hard, almost ice-cream like hard. 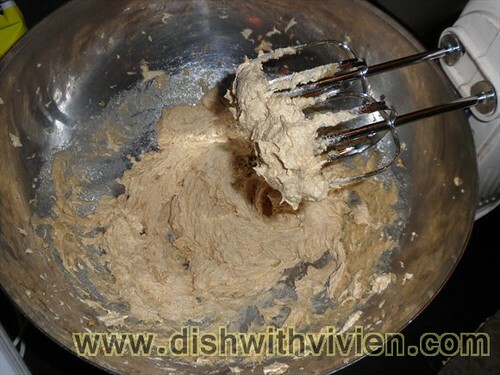 Have to warm it in room temp for 15 minutes or so before scooping it out onto baking tray. 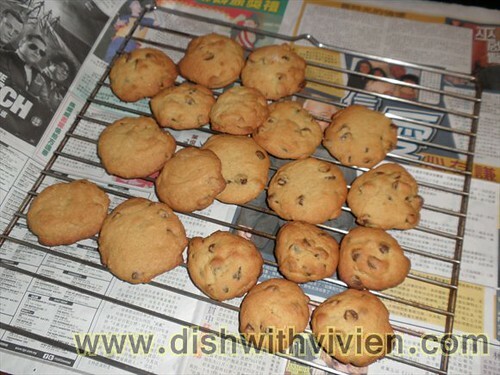 Colleague commented it tasted like Famous Amos’ which i find is quite similar, it is cookie hard without being too crumbly, slightly soft and chewy in the center as it is supposed to be. 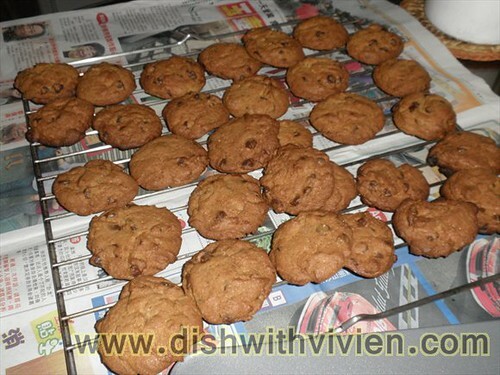 yields 31 cookies, i find the cookie more soft and crumbly, could be due to high ratio of brown sugar over caster sugar. 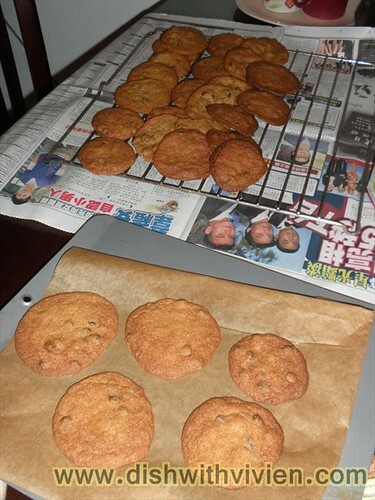 a bit too much of sea salt on some, crumbly and cake-like in texture, my least favourite. 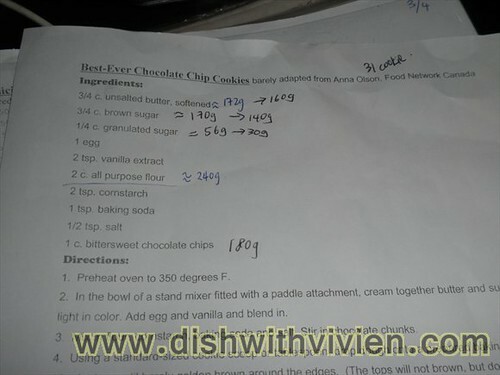 I’ve tried Anna Olsen’s chocolate chip cookies recipe before. Tastewise….it was good. 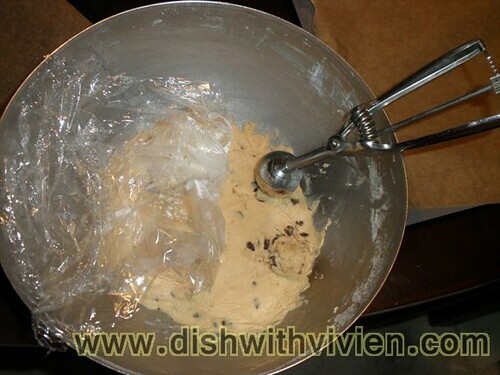 But all cookies turned out flat. tried using grease paper but still became flat. 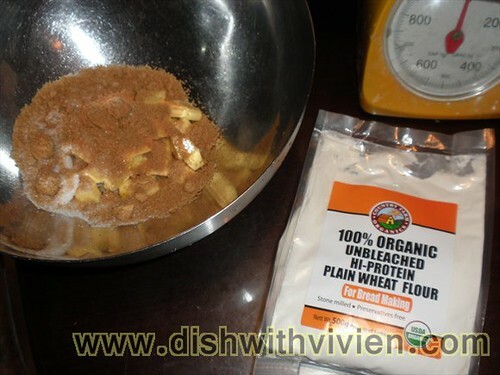 i think NY Times recipe is not flat due to it being “frozen” in the fridge for few days, try it, really nice.